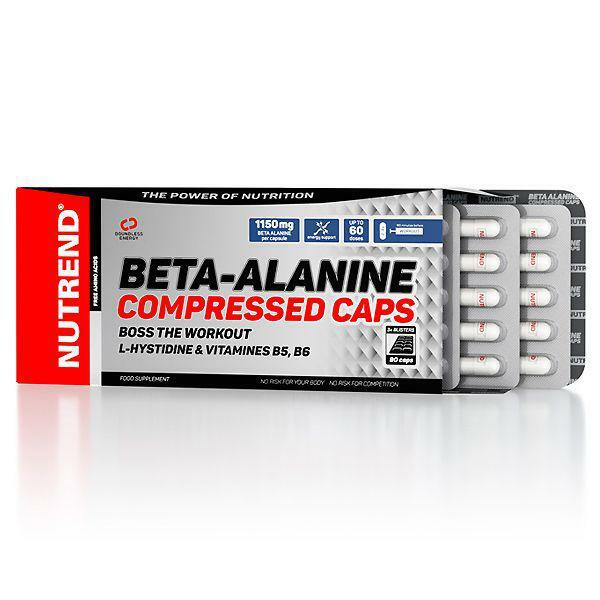 Beta-Alanine is a non-essential amino acid that s used by muscle cells to synthesize Carnosine, a dipeptide consisting of Beta-Alanine plus L-Histidine. In this formula we provide both components! Carnosine is found in high concentrations in skeletal muscle, and its preferentially located in the strongest Type II fast-twitch muscle fibers. Boosting Carnosine in muscles via supplementation has a growing popularity among educated bodybuilders and athletes. 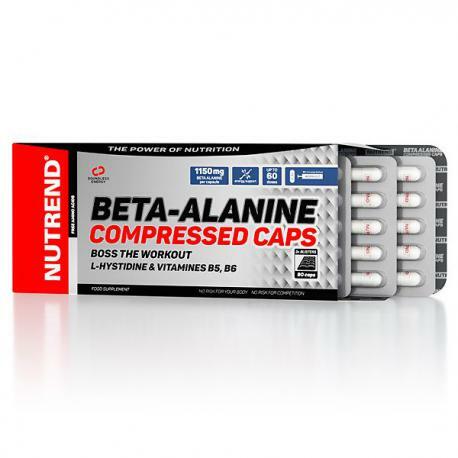 Τhe new Nutrend’s Beta Alanine is in capsule form for better use. 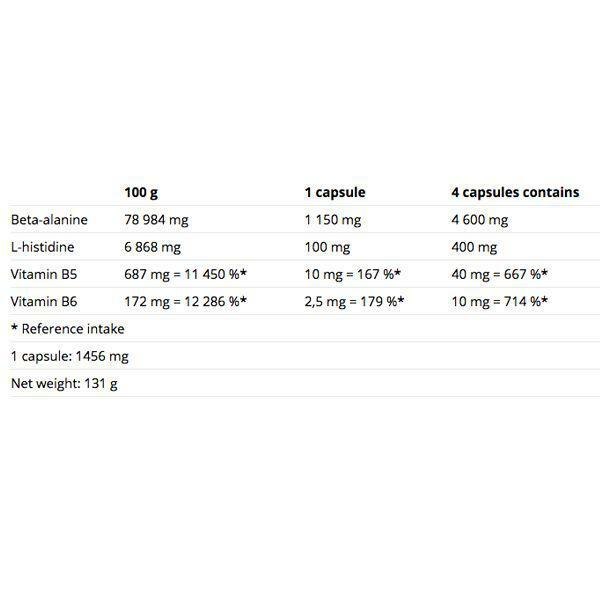 One dose = 2 - 4 capsules, wash down with 200 ml of water. Use immediately after training or anytime during the day.